This modern home in the Highland Park neighborhood on Armstrong Parkway was built in 1997 and designed by architect Tom Workman. The home possesses a unique look that's been described as mushroom-like. 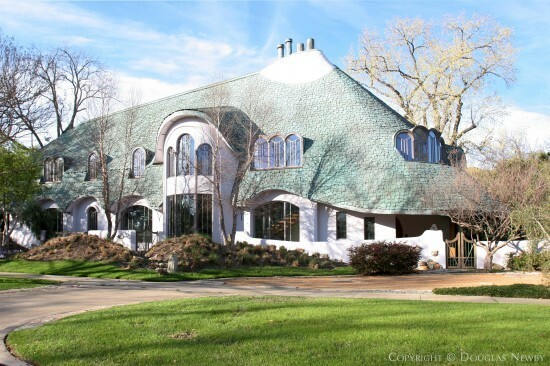 It's rounded roof is constructed entirely of copper. The home has been the subject of some controversy because it's in a neighborhood of more traditionally designed homes, but the unusual look of the home adds a beauty and grace to the neighborhood rather than detracts from it.